We're getting a face lift! ForGoodnessGrape is now tucked into our main store brand of Willow Apothecary. Nothing else is changing just the main website name. The brands you've come know, love and trust are in no way changing at all. ForGoodnessGrape lip balms are still made and labeled exactly as they always have been and always lovingly handmade to order by The Lip Balm Queen herself. We're just trying to stay current and let's face it the word ForGoodnessGrape has never been an easy word to remember. So with this change in titling hopefully it will be easier for people to remember and for the newer ones to discover. With the addition of my Willow Tree Soaps brand the new apothecary name seems to me to fit perfectly and I hope you'll agree. With the new apothecary name I am adding a few other products like salves and solid lotions and a few more special potions. This is the last stop on your quest to find the best lip balm. Welcome! ForGoodnessGrape is an innovative American Made online indie boutique featuring whimsically crafted beauty products with extremely diverse selections including; lip balms, lip tints, sugary lip scrubs, mineral makeup, perfumes, soaps and other custom artisan crafted natural spa products designed and engineered by Lisa List, aka The Lip Balm Queen. In April of 2010 it was my vision to provide high quality lip care products using the finest ingredients sourced from around the world. Using Etsy as a springboard and launching point, ForGoodnessGrape quickly became one of the largest independent sources for quality handmade lip care products offering the most diverse and prolific selections in the world. As the founder, owner and chief alchemist of ForGoodnessGrape I endeavor to bring the most interesting and fun formulations of skin care products to the planet. Specializing in lip balms, tints, scrubs and solid or oil based perfumes, mineral makeup, soaps, body butter and lotions as well as a constantly growing product line. With a philosophy of "beauty should be fun" and uncompromising attention to the best all natural, organic and earth friendly ingredients, ForGoodnessGrape has revolutionized the landscape of skin care formulations with a selection of exquisitely crafted products that have brought satisfaction and glee to the point of obsession to customers worldwide. 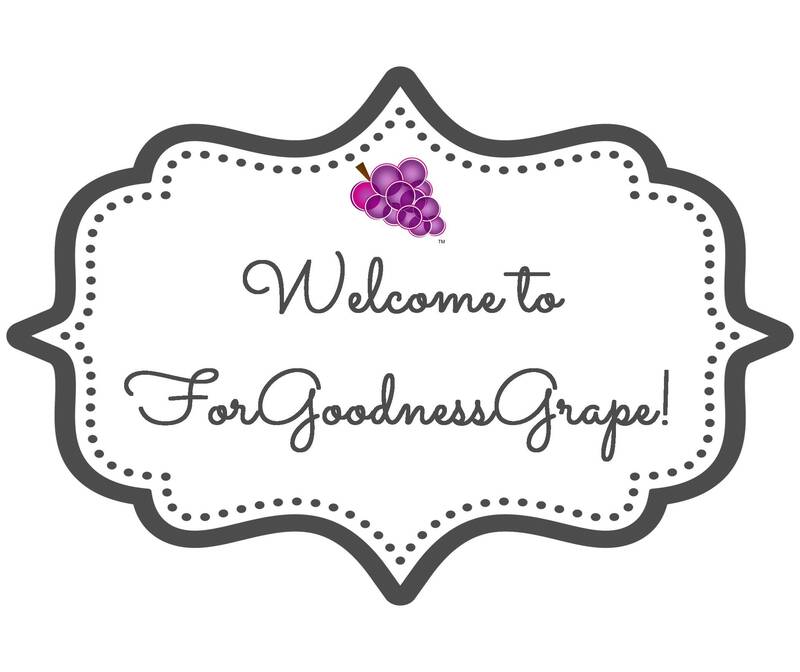 Today these selections are exclusively offered on ForGoodnessGrape.com where new and innovative formulations are being offered on a regular basis and the customer is invited to join in the creative process by providing ideas and input for new combinations of flavors and products. The uniqueness of For Goodness Grape is found in its constant innovation, its inculcation of whimsy, the diversity and dedication of its patrons as well as its seemingly endless variety. Where else can you order a Unicorn Kisses Lip Balm, stock up on Orange Scream Halloween Sugar Lip Scrubs for that upcoming All Hallows Eve party and contribute to a Montana Moose Lips balm being delivered to our military personnel overseas? ForGoodnessGrape is changing the way people think about beauty by injecting fun into the mixture, using special care in sourcing premium quality ingredients and making them available to anybody who has a craving for the flavor of fantasy. Each day brings new opportunities for fun flavors. Experiencing life with an attitude of fun provides an endless source of research that culminates in delightful creations that stimulate the senses and sparkles the imagination. Feel the difference that ForGoodnessGrape makes! Nothing sits around at ForGoodnessGrape! All of my offerings are handmade to order which ensures you the freshest products possible. Please allow ample time for this...usually 7-10 days before an order is shipped. This window can be longer during the holidays or sales. Your order is most important to me and I put a lot of love, time and effort into each product which you will see, feel and experience when your order arrives :) Nothing is ever rushed and everything is handpoured to order. They are all worth the wait. Gift Certificates can be found here.